For the standard Honda Fireblade front Nissin calipers. 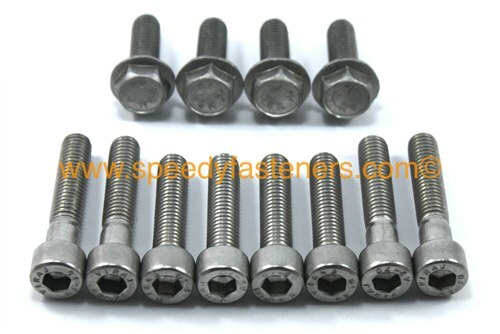 This kit features high quality stainless steel cap and hex flange bolts that resist corosion and look great for years. This kit will fit all Honda Fireblade CBR900RR CBR 900 929 & VTR SP1 SP2 models. Included in this 12 piece kit are 8x Cap Head (Allen Key) Bolts & 4x Hex Flange Bolts. This kit is made of high quality products at low prices. If bought from Honda, these parts would cost you between $49.44.it.